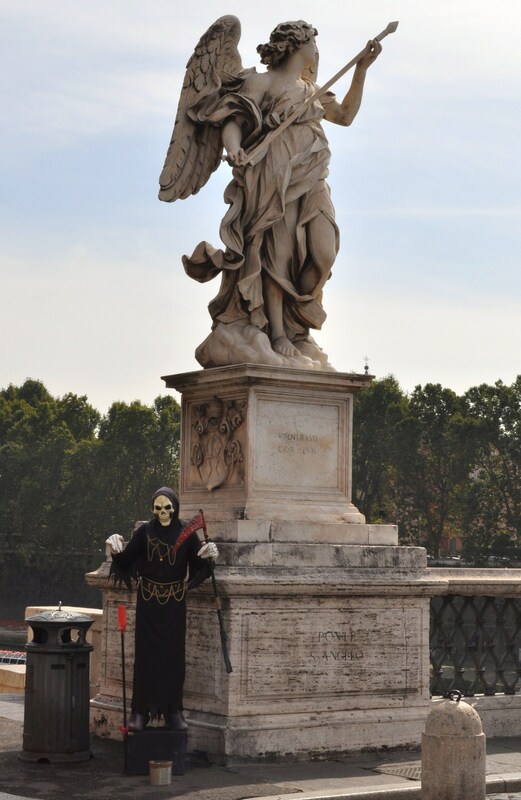 Ok. so I finally went to Rome. And not in 2013 as planned, but in 2011. And I came back from Rome. – I have another almost 8 months of happily working experience in Finance & Accounting and 4 diplomas over my desk (and counting) to acknowledge that. – I had 2 more shows of poetry: “Cine mai trece pe drum I” and “Cine mai trece pe drum II” (when we had Catalin to film us and he has done the best recording from all the shows I had, that were filmed). – I have written (compilated) 2 articles for the company’s inside magazine, one for the issue of May, “How necessary changes are in one’s life? !” and one for September, waiting to be published, “Seeing theatre acting as a part of a project”. – I have started a new acting course and I’m very happy about that, because I have there 4 boys that I like find interesting (from which, 3 I met last year on my birthday 😉 ) and other beautiful new people just waiting to be discovered. – I saw and took pictures in 2 more parks in Bucharest: Tei and Carol I (where I went bike ridding). – I bought myself new roller skates. Anyway, that’s about it, thanks for reading me!.. and please note that I’m only trying to be responsible. Cute and funny comes naturally. This entry was posted in Writings in English on September 25, 2011 by Stefania.